Buy Wholesale Reptile Cloth Bags For Sale at Bulk Prices! 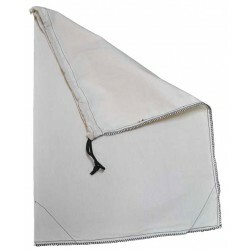 These heavy duty Cloth Reptile Bags are the most popular shipping bags for reptiles. They have thick draw strings and sewn bottom corners for "bite free" releasing. Size: 12" x 16"
These heavy duty Cloth Reptile Bags are the most popular shipping bags for reptiles. They have thick draw strings and sewn bottom corners for "bite free" releasing. Size: 15" x 24"
These heavy duty Cloth Reptile Bags are the most popular shipping bags for reptiles. They have thick draw strings and sewn bottom corners for "bite free" releasing. Size: 8" x 12"